Heart Location: Gainesville, FL. Contact us if you'd like it moved to a different location. - The picture frame is NOT for sale. It is there just for size reference (4" x 6"), and decorative purposes. 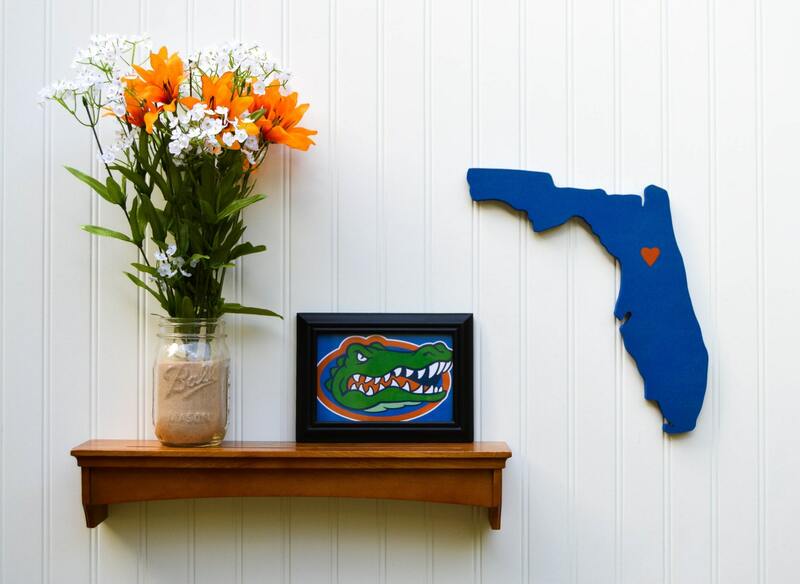 State Your Team is not affiliated with, nor endorsed by the University of Florida. The logo is used strictly for decorative purposes. Very cool and unique item. Thank you!